First, a little background on P2P. There are several company’s out there that offer services to both borrowers and investors. They assess the borrow and come out with their own rating system, then investors can search based on this, as we;; as, past delinquencies, type of loan, debt consolidation, home project, other, etc. It looks like right now on the site that I used that the amount of the loan can range from $2,000 to $35,000. 1) This was no greater than 1% of my net worth. Given that $3,000 can be a lot or peanuts to some. This is neither in my case, even though it was less than 1% of my net worth $3,000 in my case is not pocket chain, but it wasn’t 50% of my savings either. 3) $1,000 didn’t seem like it would be that much. I definitely wanted to put enough in where I could see a benefit, and getting around the 7% advertised is just around $70/ year and I wanted to make at least $100 on this. 4) Diversification. It seems to be recommended that you diversify by buying different portions of people’s loans. So if you were going to put $25 into those loans that you wanted to finance for $1,000 that would only be 40 different loans, but if you did $3,000 that is 120 different loans, so if someone defaulted it would not sting as badly. My opinion is that there is definitely value in P2P lending. I see that it can be a good way to make a higher return, but I wouldn’t say that I would want to invest more than $3,000 still given my current net worth & other assets. Take a look at the pros & cons. 2) One-time set up if you go ahead & set up the quick invest to reinvest the principal and interest that is paid back. 3) Easy way to make interest. You really don’t need to do anything but keep your money there. That’s it. 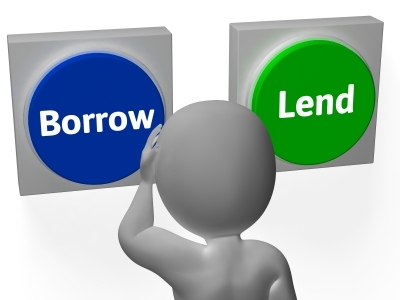 1) A couple of loans in your portfolio can easily take away your profit. Originally, I had actually put in $50 into each loan, but then after I had one delinquent account go bad, I changed my quick-invest set up to only invest $25/ loan. As with any type of lending, it takes a lot of interest even at 7% to make up a loss of -80%. I also tried to help curb getting to many losses by not investing in those that had a prior delinquencies. 2) P2P seems like it would be highly effected by how the economy is doing, and right now the economy is doing pretty good. So a negative turn in the economy could result in some drastic losses. *To calculate Annualized Returns, a total gain or loss is calculated by summing all payments received net of principal repayment, credit loses, and services costs. The gain or loss is then divided by the average daily amount of principal outstanding to get a simple rate of return. This rate is annualized by dividing by the dollar weighted average Note age of your portfolio in days and multiplying by 365. When I straight up calculate how much I have made in the past year I take $3,000, as this is the only amount I ever invested into the P2P website. Then, taking out the remainder of a delinquent loan that is in currently in my portfolio that is in collections, I’m left with a total value of $3,138.78. So it leaves me with a 4.6% gain. 4.6% is definitely a great return on money, but it isn’t 7.32%, even if I left in the delinquent account, because maybe the system doesn’t yet recognize this as a loss, I get 5.8%, which is still 150 bps less than what the system calculates. Don’t get me wrong though, I plan to keep my original investment of $3,000 and have the system do the auto-revest with the cash paid back by the borrows, which is how the system is getting a total of $4,098. I did meet my overall goal of making at least $100 off of my original $3,000 investment. Bottom line though is that I do see value in it. Only invest in P2P if you already have an emergency fund, and saving for retirement, and you would be ok if lost the money invested in it.